Shiny Baltoy in game: 45 Who? Important notice! Pokemon Shiny Baltoy is a fictional character of humans. 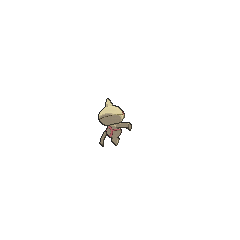 Baltoy (Japanese: ヤジロン Yajilon) is a dual-type Ground/Psychic Pokémon introduced in Generation III. It evolves into Claydol starting at level 36. 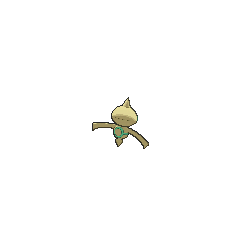 Baltoy is a small Pokémon that resembles a tan figurine made out of clay or mud. There are arching, red markings over its eyes, which usually appear closed. A red stripe encircles its body, and forms a ring on its belly. It has flat appendages that resemble arms. A spike protrudes from the top of its head and another, smaller spike under its body. It moves by spinning on this single, pointed foot, and balance upright on it to sleep. Baltoy is usually found in ruins, where it congregates with its own kind and cries noisily. Old wall paintings depict it living with people in ancient times. Baltoy first appeared in Me, Myself and Time, under the ownership of a girl named Calista. In It's Still Rocket Roll to Me!, Tate and Liza were using Baltoy's Confusion to recompose weightlessness during a Pokémon Battle, even though their main Pokémon already possess the ability to float in mid-air. Later in that same episode, these Clay Doll Pokémon stopped Team Rocket from stealing the rocket ship. 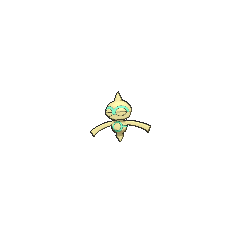 Four Baltoy appeared in Arceus and the Jewel of Life under the ownership of Damos. Another Baltoy appeared in Bucking the Treasure Trend!, under the ownership of Buck. A Baltoy is owned by one of the students of Snowpoint Trainers' School in Classroom Training! AG076 Baltoy Ash's Pokédex Baltoy, the Clay Doll Pokémon. Baltoy moves about while spinning like a top. It is said that Baltoy coexisted with humans in ancient times. 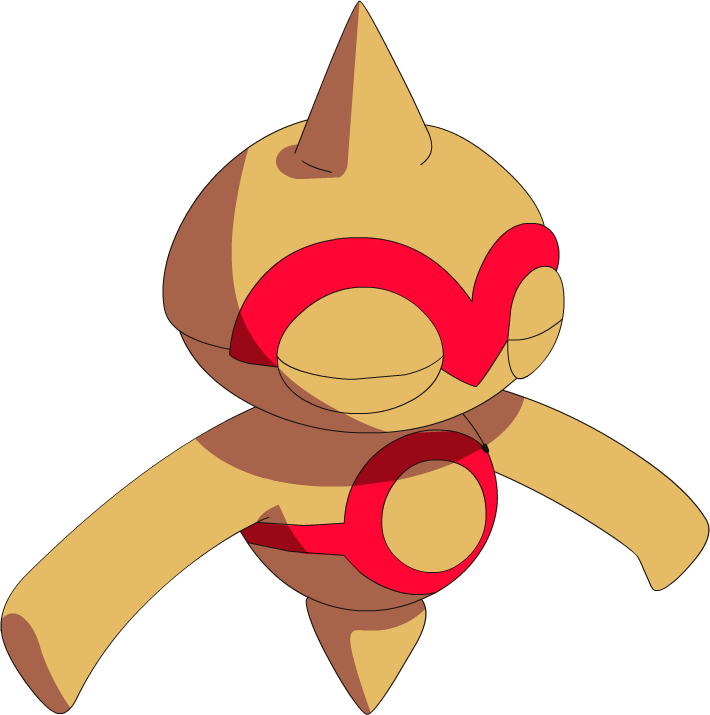 DP181 Baltoy Dawn's Pokédex Baltoy, the Clay Doll Pokémon. A rarely seen Pokémon, Baltoy is said to have been discovered in an ancient ruin. In the manga adaption of Arceus and the Jewel of Life, Marcus owns a Baltoy. Baltoy moves while spinning around on its one foot. Primitive wall paintings depicting this Pokémon living among people were discovered in some ancient ruins. As soon as it spots others of its kind, Baltoy congregates with them and then begins crying noisily in unison. 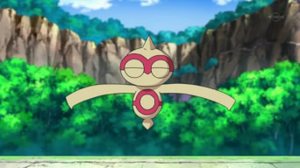 This Pokémon sleeps while cleverly balancing itself on its one foot. A Baltoy moves by spinning on its single foot. It has been depicted in murals adorning the walls of a once-bustling city in an ancient age. It was discovered in ancient ruins. While moving, it constantly spins. It stands on one foot even when asleep. It moves by spinning on its foot. It is a rare Pokémon that was discovered in ancient ruins. It moves while spinning around on its single foot. Some Baltoy have been seen spinning on their heads. Discovered in ancient ruins, it moves by spinning around and forms a group when it finds others. Moves marked with a superscript game abbreviation can only be bred onto Baltoy in that game. 51%-100% HP Balance! Balance! Balance is the important thing! 26%-50% HP Um... My HP is about halfway down. Level up There, I leveled up! My balance is in tip-top form, too! This Pokémon lives in the Granite Zone. He spends his spare time on two Attractions-- Rhyperior's Bumper Burn and Rotom's Spooky Shoot-'em-Up. 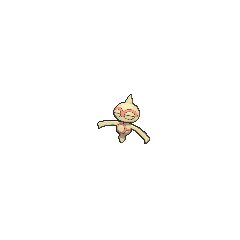 For other sprites and images, please see Baltoy images on the Bulbagarden Archives. 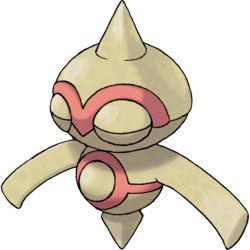 No other Pokémon has the same type combination as Baltoy and its evolution. Despite the fact that Baltoy is a genderless Pokémon, it is male in PokéPark Wii: Pikachu's Adventure. Baltoy is based on a top with the design of a 遮光器土偶 Shakōki-dogū—a "spaceman" clay figurine from the Jōmon period of Japanese history. It also seems to resemble Hopi Kachina figures. Baltoy may be a combination of balance and toy. Yajilon is an abbreviation of 弥次郎兵衛 yajirobe'e (balancing toy). Japanese ヤジロン Yajilon Abbreviation of 弥次郎兵衛 yajirobe'e. Mandarin Chinese 天秤偶 Tiānpíng'ǒu Literally "Libra figurine"